The concept of a multiverse is debatable and, at times, argumentative. Today, many scientists are understandably doubtful about this concept. A few even reject the notion completely. But for others like Vilenkin, the arguments for the multiverse are so persuasive, they inspire others to think about it. Vilenkin, who introduced the idea of quantum creation of the universe from a quantum vacuum believes that there could be infinite universes jam-packed with the different versions of ourselves. Another idea is also famous among physicists that the Big Bang might not be the singular creation of all space and time. There may have been other circumstances creating other universes: a multiverse. Same as almost 100 years ago there was the concept that Milky Way is the whole universe, then it was discovered that many other galaxies exist outside the limits of our home galaxy. “What lies beyond the visible bounds of our universe? When I teach elementary courses, I usually say the universe is everything that there is, If you go to the edge of it and there is still some more, that is part of the universe, too”. In late 2015, Vilenkin and his colleagues proposed another way to determine if the multiverse exists: black holes. Vilenkin says that there is a fair possibility that bubble universes were shaped inside of the visible universe during the Big Bang. Many of these universes warped up and made black holes. If the black holes are big enough, they may have expanding universes inside of them, and these expanding universes would be connected to the visible universe by wormholes. About 13.8 billion years ago Big Bang happened, a really hot, compact phase when the universe started expanding. But there is also a universe that is restricted by what people can see: the visible universe. Everything in the visible universe has to be younger than that. But, hypothetically, researchers are uncertain that the universe seen with telescopes, what we see may not the all that is there. Inflation would thus leave behind a population of black holes with a telltale range of masses. 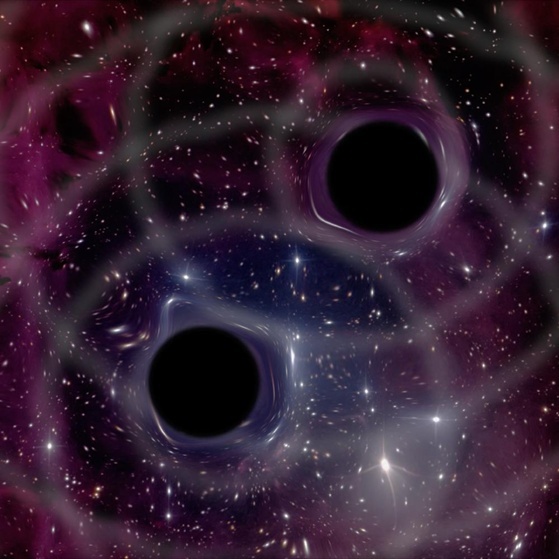 In principle, by measuring the ripples in space and time produced in black hole collisions—like the gravitational waves discovered by LIGO last year—astronomers can take a census of black hole masses and see if they were created by inflation, which would imply the multiverse. It’s possible that sometimes these bubbles interact, and that one will interact with our bubble and produce observational evidence. “Say, what are the possibilities, what happens if these bubbles interact, what sort of information will it give us,” says Petrosian. Despite the similarities between Vilenkin’s theory and the film Interstellar, many scientists have hope for the multiverse theory.